This recipe involves adding carefully peeled sesame seeds to the vitalizing rye dough in a proportion of 17%. This imparts an unmistakable nutty flavour to these Family Happys. And the funny thing is that these 100%-natural nibbles - Made in Italy - are especially popular among women. Why not taste for yourself and get to the bottom of the culinary secret of our Family Happys with sesame? - You'll be thrilled! 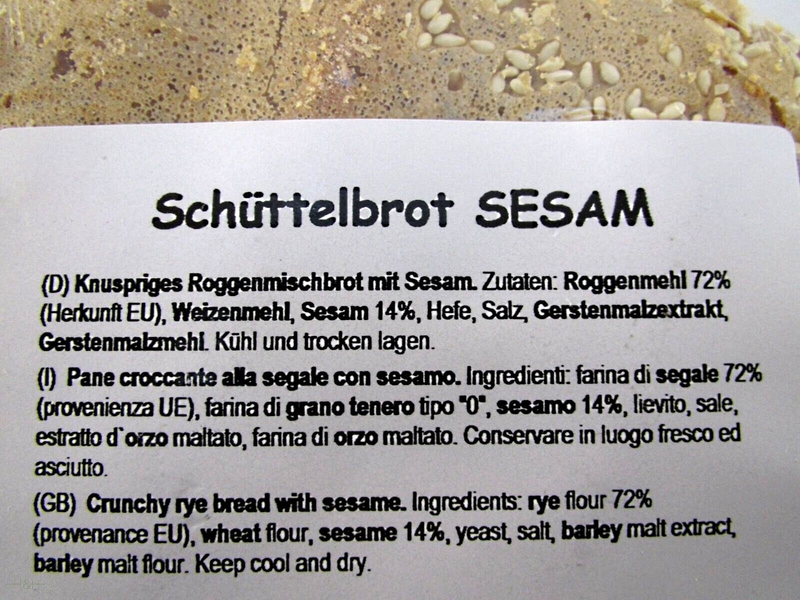 Ingredients: Rye flour 71%, sesame seeds 17%, wheat flour, yeast, salt, malt extract, malt flour.